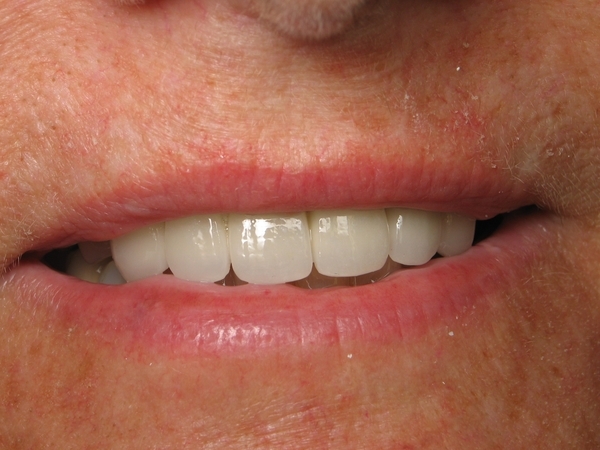 Patient previously lost teeth and had a very inferior bridge. 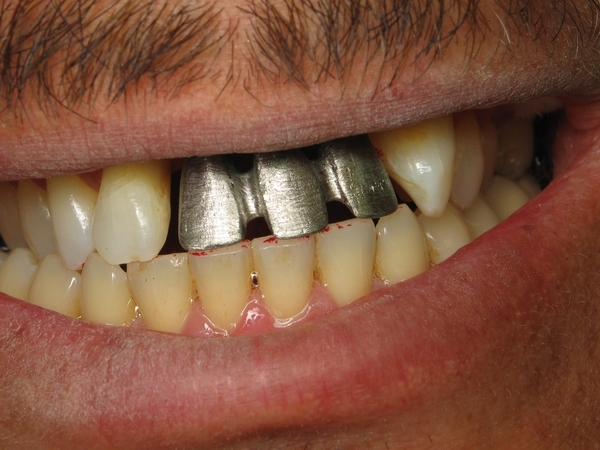 Two implants were placed and the framework for the bridge is shown. Final bridge is shown in 3rd photo. This patient tripped on the sidewalk walking her dog. 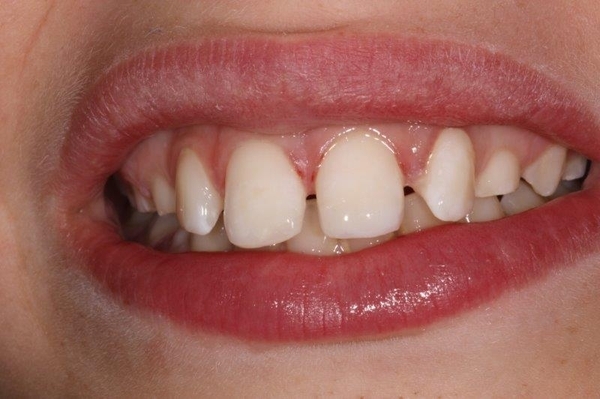 She destroyed the two front teeth which were extraced and implants placed. 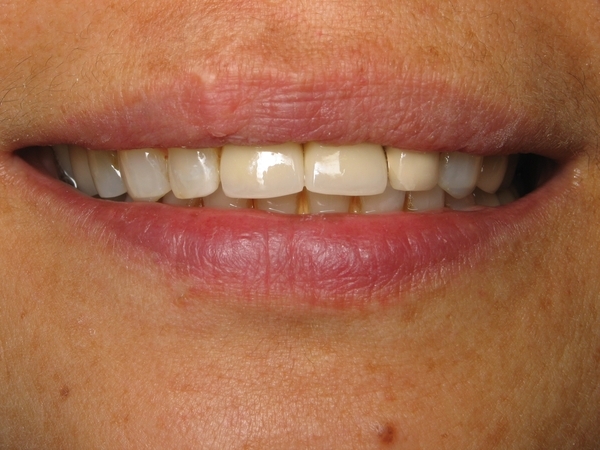 After healing, two crowns were placed and direct bonding was done on the chipped tooth to the left. 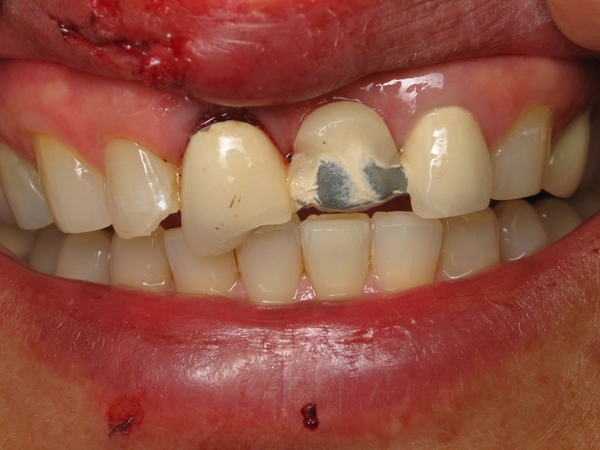 Our patient had a bike accident and lost front tooth. 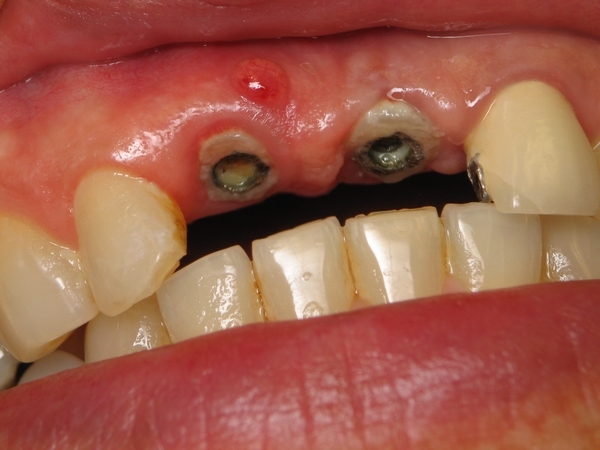 Root was extracted and implant placed. 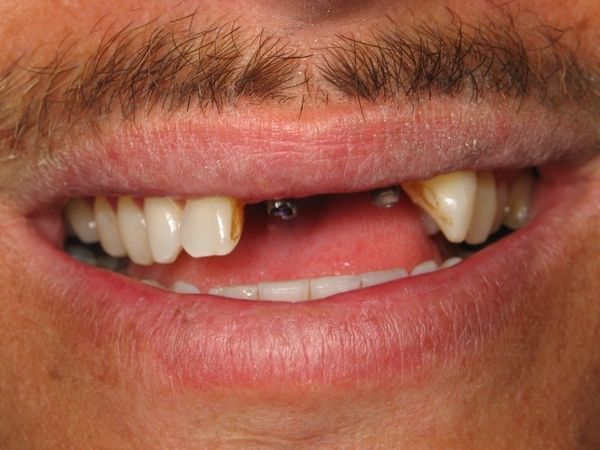 A new crown was added later and fashioned to math his other teeth. 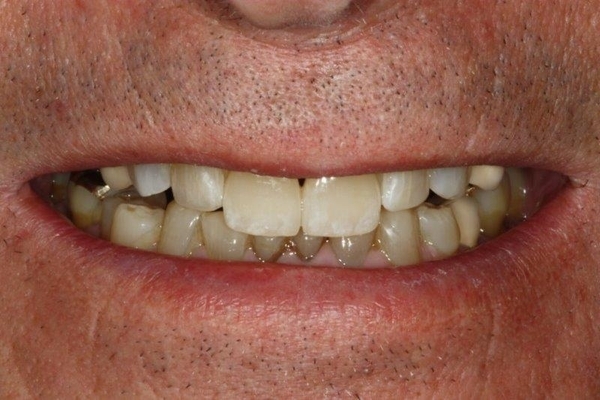 Patient broke his tooth front tooth and was repaired with direct bonding in one visit. 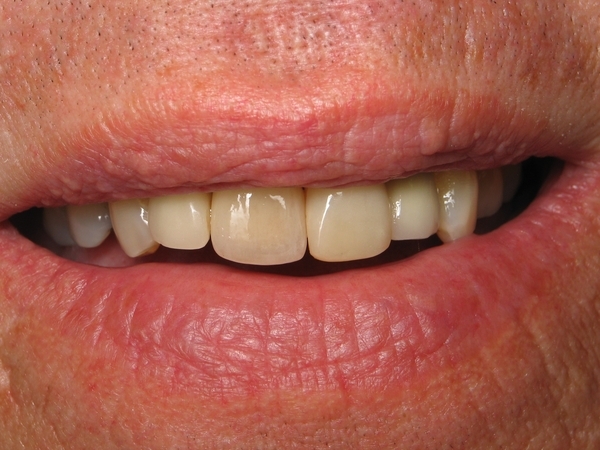 First photo shows large bridge with fractures throughout the porcelain. New bridge was made more esthetic and lighter in color. 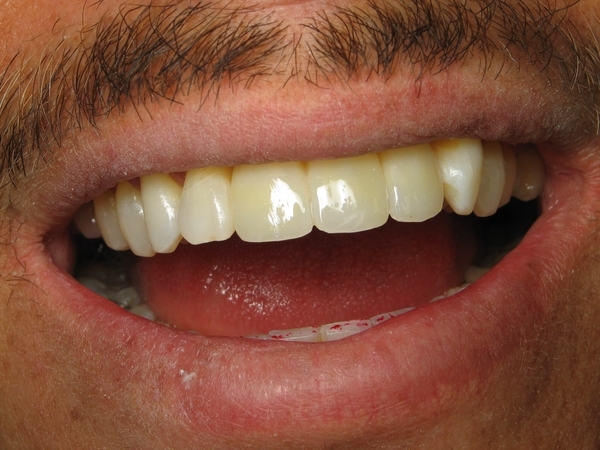 This patient had old composites to lengthen his front teeth to determine if he could tolerate longer front teeth. He did tolerate the increased length so we made him two new beautiful crowns to blend with his other teeth. 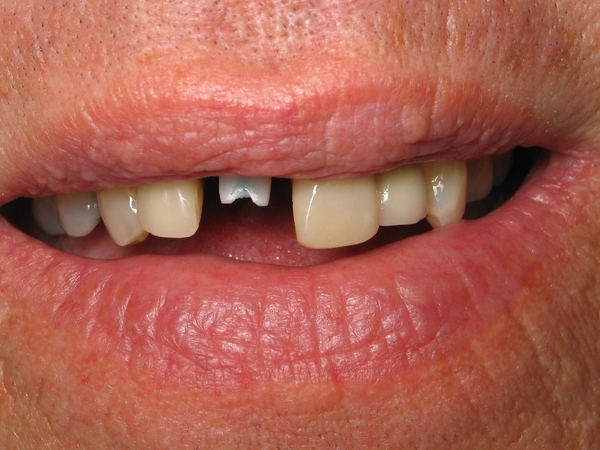 This patient was hit in the mouth and broke the left front tooth. 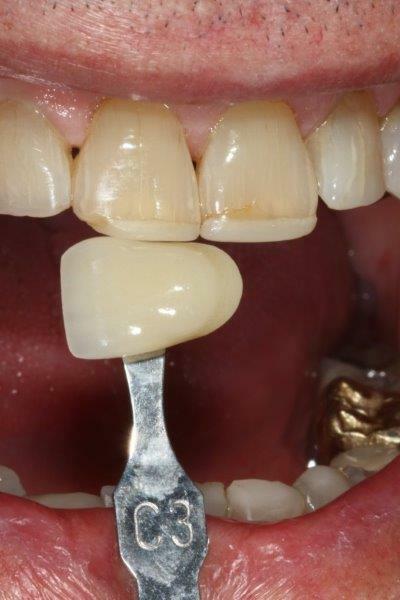 It was repaired with a composite material but may need a ceramic crown in the future. 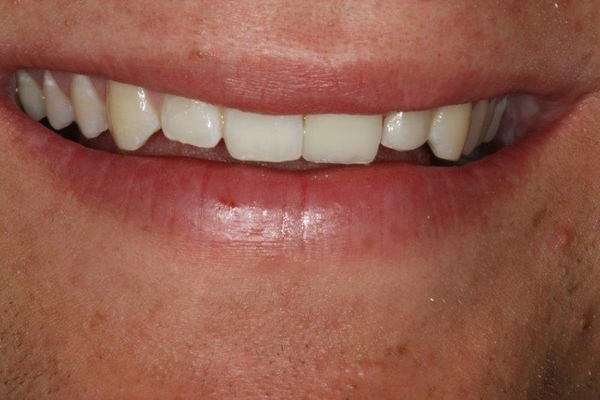 This young man was hit in a baseball game on a weekend ( do I need to say more about mouthguards?) 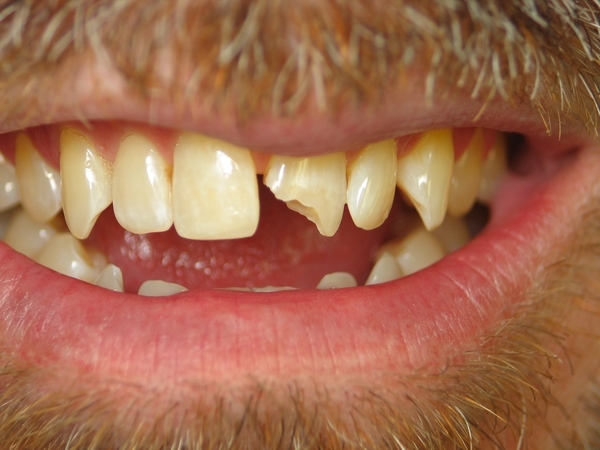 and broke his left front tooth. 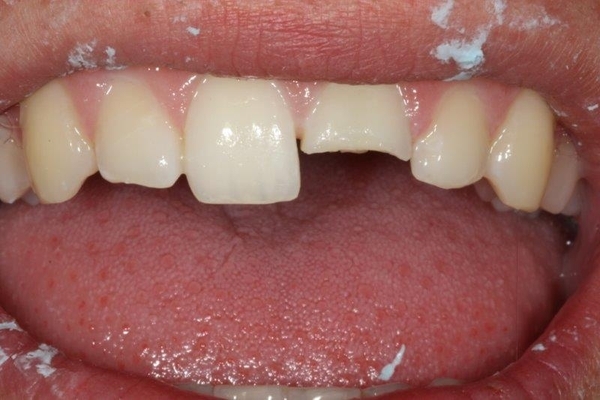 You can see a slight demarcation between the natural tooth and the new emergency composite placed. 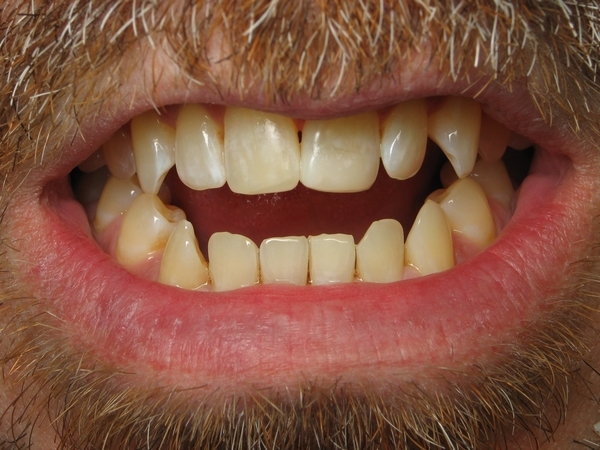 We will replace that later as his tooth erupts or he may need a ceramic crown eventually.